This is Sarge from Cars. 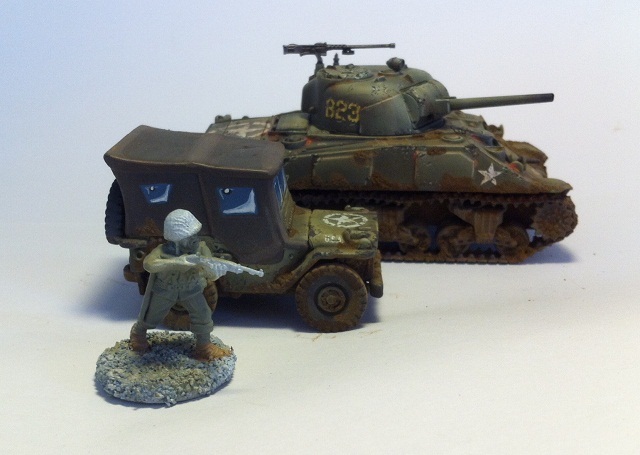 I picked up this kids toy for €2,- and thought I might be able to use him for my USMC Army and now that he's done I'm not dissapointed. The canopy is a bit off but doesn't bother me. 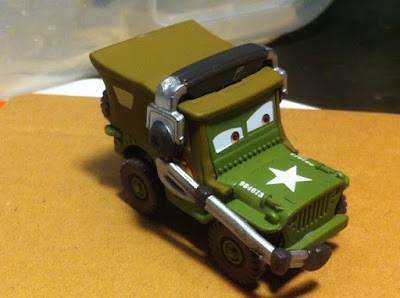 I am going to use him as a transport jeep since he doesn't have a MMG. He also doesn't have an interior but the canopy is made of plastic and comes off easily so if you're a handy hobby man you could convert this model. I just took off the headset (which was the hard part), filled some gaps with greenstuff and repainted him. 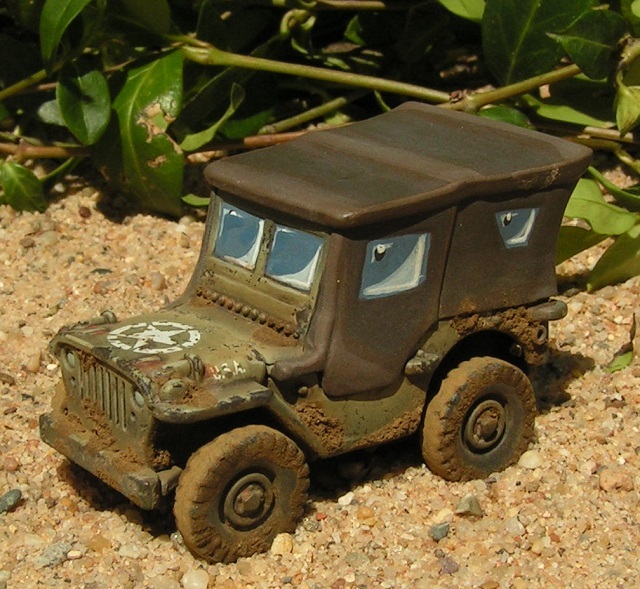 A Willy's jeep can transport up to 3 men so he comes in handy for transporting small weapon teams or a 1st or 2nd LT. Wheeled transports like these are a fast way to get your men where they are most needed. 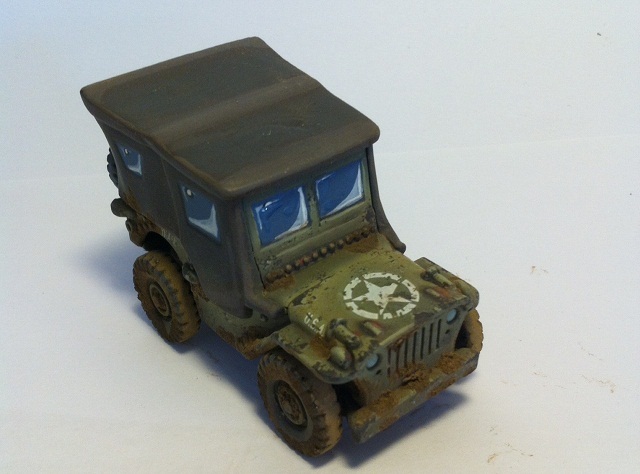 First picture is the finished Jeep, second picture for size comparison and third pic is the original as I bought it. Sarge is a character in Cars and Cars 2. His model is a 1942 or 1941 WWII (World War 2) Willy's Army Jeep. He is a WWII veteran.